to six “members” in 2013. CSM is a subsidiary of Chime Communications, the company run by Thatcher’s former spin doctor, Lord Bell. CSM is “a vibrant and dynamic organisation”, according to Coe himself, who has been the company’s chairman since January 2013. Conservative peer Lord Coe is also executive chairman of another subsidiary working out of the same Victoria Street offices, CSM Strategic. CSM and CSM Strategic offer different services in sports marketing, bidding and planning. 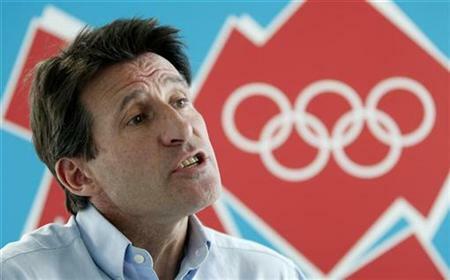 But Coe is a prominent figurehead for both companies. It was CSM Strategic which was commissioned last year by Tory Mayor of London Boris Johnson to conduct a consultation into the future of Crystal Palace National Sports Centre. Crystal Palace Park and the National Sports Centre are close to the borough boundary with Croydon. The sports facilities there have been widely used by south Londoners since they were opened in the 1960s, including schools and sports clubs such as Croydon Harriers and South London Harriers. But the 50-year-old sports facilities are in need of serious maintenance investment after three decades of disinvestment by Bromley Council and then the Greater London Authority. A proposal for Crystal Palace Football Club to re-develop multi-sport facilities at the stadium did not materialise, due to the complexities of the site ownership and negotiations with the GLA, the public body currently responsible for the NSC. “We found out very quickly that Boris had bigger plans for the place,” Inside Croydon has been told by a Selhurst Park source. CSM Strategic’s initial 2014 consultation on the National Sports Centre put forward four recommendations, all of which involved the demolition of the athletics stadium, and none of which included any indoor training facilities. But the consultation did include the suggestion of building a Free School within Crystal Palace Park, something even the Conservative-run local education authority, Bromley, has opposed as simply a bad idea. After we published the report, Inside Croydon was contacted by a lawyer for Lord Coe who suggested that the proposals were unconnected to their client (apart from the fact that he chairs the company which was running the consultation), that there were no plans to demolish the stadium (which the consultation clearly stated), and that the proposals were unconnected with another Boris vanity project, the now abandoned ZhongRong replica Palace on an adjoining part of the same public park (which emails from Boris’s office proved was in fact the case). Coe’s lawyer said that our report was “potentially libellous”. Seriously. We have not heard from them since. Coe’s company, CSM Strategic, last month published its final recommendations for the Mayor of London. This time it included some self-justifying figures on usage of the facilities and it recommended the demolition of the stadium, indoor training area and 25-metre teaching pool. 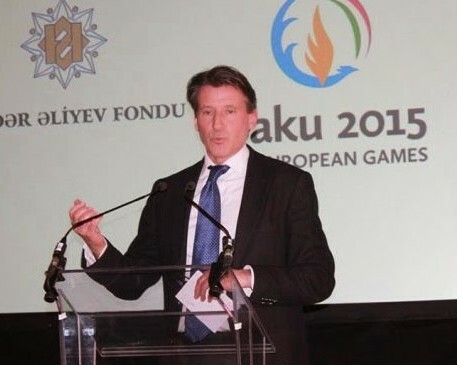 Lord Coe is not immediately available for comment this week, as he has been busy in Baku, in Azerbaijan, attending the first European Games with the British Olympic Association, of which he is also chairman. Coincidentally, CSM – that “vibrant and dynamic organisation” chaired by Coe – was “retained by the Azerbaijan Ministry for Youth and Sport”, and assisted in the drafting of “the Host City Contract for the EOC [European Olympic Committee] and Baku”. Some of CSM’s £1.5 million pay-out to its leading figures in 2013 may have been attributable to earnings from its work for the Baku organisers. Azerbaijan is an oil-rich former Soviet state with a wretched reputation among human rights groups for its repressive attitude on civil liberties and press freedom. Before the Games began, Azerbaijan banned a journalist from The Guardian from entering the country. Since the ban, we have been unable to find on the interweb any comments from Lord Coe to denounce the banning of journalists from an international sports event, nor any defence of the freedom of the press. We have, though, been able to find, from January this year on a website apparently bought-and-paid-for by the Baku organisers, a quote from Coe which Private Eye would probably refer to as Arslikhan: “These Games will be a great gift not only for athletes but also for children and young people in Azerbaijan,” Coe said, skilfully avoiding using the word “legacy”. This entry was posted in 2012 Olympics, Athletics, Boris Johnson, Bromley Council, Business, Croydon Harriers, Croydon North, Crystal Palace and Upper Norwood, Crystal Palace Community Association, Crystal Palace Park, Environment, London-wide issues, Mayor of London, Property, Sport and tagged Boris Johnson, Conservative, Croydon, Croydon Harriers, Crystal Palace, Crystal Palace NSC, Lord Coe, Mayor, Sebastian Coe, Tory. Bookmark the permalink.